Today there is an increasingly skewed perspective about what the private rental market can and can’t do. In the face of unaffordable condo prices, think tanks and governments have promoted rental housing as an affordable housing alternative. The problem is that while the majority of us live in rental housing, that fact doesn’t make our homes any less of an investor commodity. Unregulated rental housing – like condos throughout the 2000s – is today a growing vehicle of financial investment and real-estate profitability. 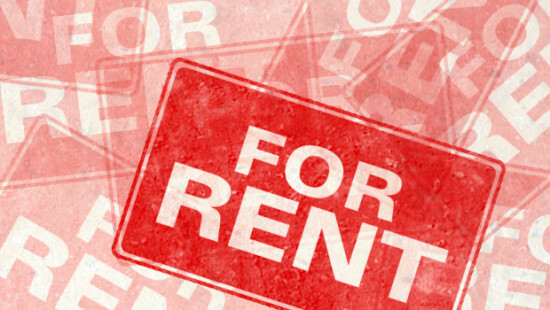 Recently a business writer analyzed the rising profitability of rental housing in Vancouver. Michael Marckwort, writing for the Western Investor, noted that Vancouver’s real-estate economy has witnessed a “market shift” away from condos and into private rental housing. Market analysts such as Andy Yan and Bob Rennie have long pointed out that more than 50% of new condos are placed on the housing market as rental housing. Purpose-built rental is also, according to Marckwort, positioned at the forefront of real-estate profitability in Vancouver. In the last decade, renters have faced housing demolitions in Vancouver at a rate of 800 dwellings per year. In 2012, a total of 1,034 dwellings were demolished in Vancouver, often containing multiple units and multiple tenants. Since the 1990s, a virtual freeze on social housing construction and the expiry of operating budgets for co-ops and non-profit housing providers have created deep scarcity, at a five-year vacancy rate of 0.9% and steadily rising rents. As a result, rental investment is becoming increasingly lucrative. According to Marckwort, the list of new buyers includes corporate investors, pension funds and real estate investment trusts. A second factor contributing to increased profitability, according to Marckwort, is municipal housing policy for rental housing investments. For five years Vancouver’s municipal government has followed a trickle-down strategy to affordable housing, giving tax breaks and fee exemptions to developers under the guise of producing affordability. The Vision-controlled government has refused to regulate the housing market or tax landowner profits, choosing instead a combination of austerity and neoliberal trickle-down measures. Rent control in particular has been deemed “infeasible” because it would “unfairly force landlords to lose money,” according to Vision councillor Geoff Meggs. After half a decade of Reaganomics, Vancouver is more unaffordable than ever. Worse yet, a pro-market rental housing strategy has been used as a policy to legitimize real-estate development and gentrification in Vancouver’s most affordable neighborhoods. Recently the city has finished a draft of its Local Area Plan (LAP) for the Downtown Eastside. In one DTES sub-area, the Oppenheimer District (DEOD), the plan is for rental-only housing. This has been interpreted by some as a victory for local housing activists. The LAP aims for 100% rental housing in the DEOD for all new developments. Furthermore, those developments must contain 60% social housing. The problem is the fine print. The large portion of “social housing” is pegged to market rates. The break-down for the 60% is as follows: “the target for affordability for new social housing will be one third at income assistance, one third up to HILs (Housing Income Limits) and one third at affordable market rents.” The current HIL average for a one-bedroom in Vancouver is $950. Rents defined as “affordable market rates” will be even higher. at the Rental 100 building on West Broadway, $1350 was deemed affordable rate for a 1-bedroom. So much for anything recognizable as social housing. Furthermore, the LAP document contains no mechanisms for enforcing even these weak commitments. On the contrary, the document is full of caveats that allow exemptions on the social housing requirement, which “may be subject to review as economic conditions change,” according to page 92 of the document. Prior to the arrival of Vision Vancouver, there was at least a clear definition of “social housing,” particularly for the 20% inclusionary zoning of the Oppenheimer District. Today the pretence of a fair definition has been thrown out the window. At new projects like 955 East Hastings and Sequel 138, one-bedroom units designated “social housing” will rent for $900. After a series of re-zonings and blank height increases approved by city hall, property values in the DTES have also changed, making previous DEOD constraints easier to circumvent for developers. The new LAP policy only further opens the DEOD to speculative market housing development. It is time to recognize that market rental housing is not a solution to the housing crisis. Even if a renter doesn’t own their housing, somebody still does. Rental housing is still about ownership – just not for the tenant. On a microscopic level, we know that renters uphold the personal wealth of small-scale property owners, whether by renting secondary suites of basement apartments. Renters are what developer Michael Geller has called “mortgage helpers.” But the reality is that the rental economy has now shifted into first-place among financial growth sectors. It props up not just the personal economies of single-family homeowners, but large-scale property investors too. The municipal government believes that the solution to the housing crisis is more market rental housing, a policy first implemented through STIR and now through the ‘Rental 100’ program. Those policies have been used as a trojan horse for millions in tax breaks for billionaire developers like Aquilini Investment Group and Wall Financial. The basic problem in all of this is that unregulated rental housing, as much as condos, is a vehicle of financial investment and profitability. Investor-owned rental housing has just as little chance of bringing actual affordability than the private ownership market. As Jackie Wong has recently asked: rental housing, but for who? You can’t stop me from living in my car. HI, one small point I’d like to make…the statement above that the expiry of operating agreements for co-ops and social housing is adding to the dearth of affordable housing is misinformed. This is something which has started to be mentioned as a problem but can anyone name any housing that has been lost as a result of this? I don’t think so. The operating agreements expire when the organisations’ mortgages are paid off. The system was designed so that co-ops and social housing organisations acheive financial freedom by being mortgage free. Many are already in this position, such as View Court Co-op or Vancouver East Housing Co-op. They continue as before and are able to continue to subsidise their tenants’ rents internally. They are only “lost” because they are now no longer under government regulation and so cannot be included in the official figures of housing administered by BC Housing (or the Agency for Co-op Housing or whoever). However they continue to provide the same housing as before without compromising their mandate to provide affordable, mixed income housing. There are many cases, particularly in the co-op sector where housing has been made less affordable (though very few have been “lost” entirely) but those are for completely different reasons.